Fishing is one of the most interesting pastimes to many of the people. Yet, one even needs to give much of their priceless time if they want their chase to work out. And for this, the first thing that comes to one’s mind is a fish finder. This is such a soothing device where you do not need to do that much thing other than using the device after you go for fishing. Thus, we have thought to review a device titled “The Hook-3X Sonar” so you can try that out for your fishing. 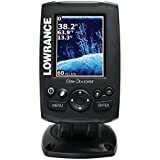 So, with Lowrance Hook-3X Review, we will let you know what this wonderful device does and how will it help you in your chase. 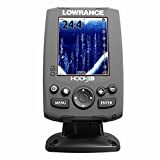 Thus, let’s start the Lowrance Hook-3X Review with the features that it has so you can know more about it. 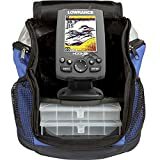 Also, if you want, make sure that you check out our Lowrance Elite 3X Review. The main mastermind behind the device to work it out is the ASP which stands short for Advanced Signal Processing. It is a kind of processor that will do all the job of detection for you. It will help in sensing the fish, its structures and the depth with more details and visibility. Additionally, it comes with the Pages button that lets you switch between 83 kHz and 200 kHz sonar frequency views real quick. So, all you have to do is just drop it into the water to hunt for the fish within your vicinity. Not only that, with this, you can also pick out the reefs and track the fishes that are hiding. So, once the device detects the fish around the web, none can save the little guy from you. However, this brings us to highlight the frequency sector of the device in Lowrance Hook-3X. So, this little tech uses a dual frequency that lets you get the maximum view right under your boat. Moreover, like we previously stated, it tends to work between 83 kHz and 200 kHz for extreme exposure. Besides, the one with the 83 kHz sonar option lets the fisher have up to 60 degrees of conical coverage, while the other one with 200 kHz will provide 20 degrees. Additionally, the perks of getting the 60-degree coverage area, it will display the largest fish arches and hunt for larger areas. On the other hand, the 20-degree frequency is great for enhanced lure-tracking and fish-target separation. Another cool feature that got us write a Lowrance Hook-3X Review is its broadband sounder. This is another element of the Lowrance Hook-3X that helps you track the fish quickly. You will find it stick to the fish finder so that it can notify you what’s nearby. Moreover, it also does the job of identifying the fish, structure detail, bottom contours, bottom hardness, and thermoclines. Not only that, it can also allow you to detect where the fishes are hiding. So, it is easy to identify the environment easily and following to which it processes the detail straight to the display. Moreover, you will also find an LED backlight that helps to brighten up the display picture for you in any lighting condition. Besides, the device has a 3-inch color display that offers a clear picture of the water. Not only the display is easy to read but informative as well especially under the sunlight. Not only that, you can also use it during the night time. Furthermore, it comes with a 320 x 240, resolution letting you know everything under the waves. The Lowrance Hook-3X features Skimmer transducer that comes with a sensor of water temperature so it can track the depth up to 75 mph. Moreover, it features Fish ID that shows the fish icons so it can notify you regarding the presence of fish. Not only that, you will also get other options including track and alarm options. You can use it in both daytime and nighttime conditions. You can easily switch between the frequencies with a simple press of a button. ASP helps you find the fish as automatic and quick as possible. It is very easy to use, so understanding the device will not take up much of your time. The device includes track and alarm options so that finding the fish becomes easier. Some users are fishy regarding the waterproof of the device. Instructions are a little vague. It does not read if the water is under 3 feet. It loses signal as soon as you start moving. You might get false readings. The device is not usable above about 10MPH. Q: Does it come with the transducer to mount on trolling motor? A: Yes, it comes with the transducer to mount on trolling motor. A: Yes, the device is waterproof. Q: Does it come with battery and transducer? A: Yes, it comes with all battery connections and transducer with sealed wire harness. Q: What is the transducer cord length? A: the length of the transducer cord is 15 ft.
Q: Is this a fish finder only, or does this have GPS too? A: it is a fish finder device only, it does not have GPS capability. Q: How do you change the appearance of the fish on the display? A: You can change the appearance via selecting an option on the fish finder to make them look like fish. Q: Does this have a low water alarm? A: Yes, it comes with a low water alarm. 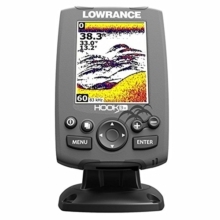 So, fishing can get easier if you have a fish finder like Lowrance Hook-3X. This device helps you do the job the fishing easily. Moreover, it has all the features that you basically want in you finder to have. And these are the reasons that have influenced us to come up with a Lowrance Hook-3X Review. Hope, you get all the answer to this Lowrance Hook-3X Review as we tried to look into every detail that the finder carries.